If you counted all your blessings one by one and collected them in a pot, which ones would you say are the dearest to you?. I'd choose my family and friends who are family to me and put them at the top of my pot. Our neighbours who also happen to be our dearest friends have now long been settled in New Zealand and the fact that I miss them every single day is an understatement. Our endless laughs, simple dinners (made special because we had them together), celebrating everything from New Years to Anniversaries and Birthdays and sometimes also celebrating Sundays with us, they were the first ones to rush to the chemist when my son (a toddler then) was down with the sniffles or a tummy bug to get me the medicine because home delivery took forever, they were the first ones to know of our day and also my sons new milestones, they touched our lives and hearts and have been locked in mine ever since they had to move back to NZ after their three year stay here in India. 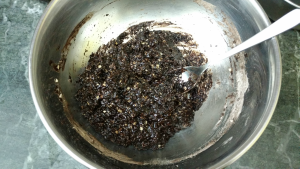 As a food blogger a constant in my kitche, are my 'flash of a light bulb idea' experiments, which I always made a point to set aside for my friends and I don't know if they indeed liked everything I made or not, but were foremost at encouraging me to keep experimenting and never give up. 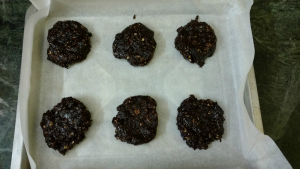 Life goes on and a new day beckons, but a little something to remember my beloved friends who happen to be NZ citizens are these delicious Chocolaty ANZAC Cookies. 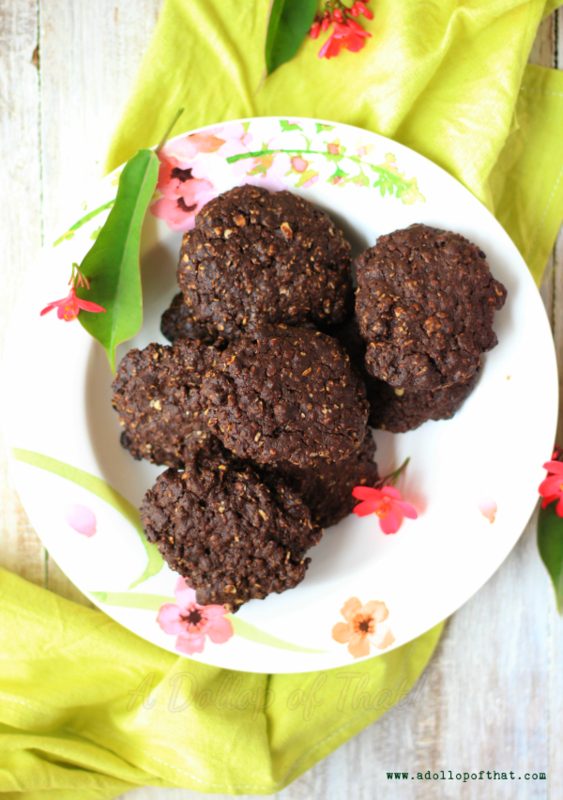 Anzac Cookies have long been associated with the Australian and New Zealand Army Corps (ANZAC) established during World War I. The biscuits were sent by wives and women's groups to soldiers abroad because the ingredients did not spoil easily and the cookies kept well during naval transportation. 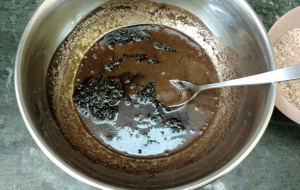 In a heatproof bowl or in a microwave or using a double boiler method melt chocolate and butter and whisk until smooth. Once the mixture is a little cool add in the sugar, yogurt, vanilla extract and egg and mix well. 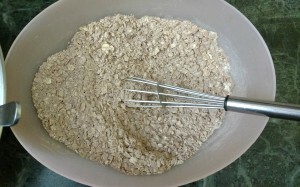 Now put in the mixed dry ingredients into the wet ingredients and combine well. Let this dough sit for about 5 mins for the oats to absorb all the moisture. Using an ice-cream scoop or tbsp measure, drop the dough onto the pre-lined tray, keeping atleast an inch's gap between two cookies. Bake for 15 to 20 mins or until the top feels set for a fudgy soft cookie. Bake for another 5 mins for firmer cookies. Cool in the tray for 5 to 10 mins then transfer onto a wire to cool completely.